Another day done in biotech, and we’re fast closing in on the end of the week. Just as was the case early last month, political influence is being exerted on the markets right now (specifically in the biotech sector) and this is affecting the market capitalizations of a number of companies in the arena. Donald Trump announced, in the wake of his Time Person of the Year receipt, that he would focus on lowering drug prices. This, of course, is not a good thing for the companies that command the revenues in the space, and markets are selling off on these entities as a result. We saw it with Clinton last year, and it looks like we’re about to see it again with Trump this year. The development end of the sector is a little more resilient to these sorts of comments, however. Why? Because if a big name healthcare company is limited as to how high it can price its assets, then it will be forced to diversify its offerings to boost top line. Diversification for big name pharma generally translates to acquisition of a smaller, development stage entity, and this potential for a boost in acquisitions post-price crackdown boosts – in turn – the potential for a holders’ shares to be acquired at a premium when a big name swoops in. That’s what’s happening on the macro level. What’s going on behind the curtain? Here are a couple of the mid week’s biggest movers, and why they’re moving as they are. The two companies in focus are Cascadian Therapeutics Inc (USA) (NASDAQ:CASC) and Anthera Pharmaceuticals Inc (NASDAQ:ANTH). Let’s kick things off with Cascadian Therapeutics Inc (USA) (NASDAQ:CASC). This company is developing a treatment called tucatinib (ONT-380) as part of a phase II trial investigating its use as a HER2+ metastatic breast cancer therapy. The drug has served up some pretty positive data in early stage studies, and as Cascadian’s lead oncology asset, holds a lot of the company’s value on its shoulders. The original plan was to conduct this phase II, then advance the asset into an expanded phase III trial – the standard development pathway for a drug of this type. It just announced, however, that as per discussions with the FDA, it will be able to replace the phase III with an extension on the current study, and this extension merely requires a boost in sample size. Same protocol, same endpoints and admin, just a fresh injection of patients. The phase III element of the drug development process is generally the largest and takes the most time. As such, it’s nearly always the most expensive. 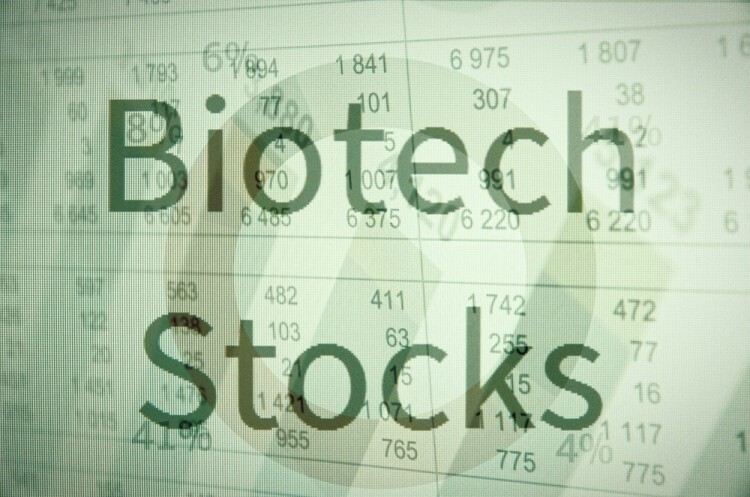 At this end of the biotech space, capital generally translates to dilution, so anything that points to a reduction in potential spend is viewed favorably by shareholders. This announcement points to just that, and the company is up as a result. Next, Anthera Pharmaceuticals Inc (NASDAQ:ANTH). This one’s a little less straightforward. Well, perhaps straightforward is the wrong word – it’s a little less clear. The company is developing a drug called blisibimod in an IgA nephropathy indication, and its currently under investigation as part of a 57 patient proof of concept phase II. Anthera just put out data that relates to a 48-week extension analysis of the drug, and to quote from the update – the drug continues to demonstrate positive trends. We did get a little more specifics on what these trends are, essentially it’s performing in its endpoints against placebo, but the data was nothing more than mean across the patient groups, and so we can’t glean too much about its chances of success going forward from the release. Nonetheless, markets have responded positively to the news, and just as with Cascadian Therapeutics Inc (USA) (NASDAQ:CASC), Anthera Pharmaceuticals Inc (NASDAQ:ANTH) is picking up some buy volume of the back of its release. Is It Time to Buy Ultra Clean Holdings Inc (UCTT)? Smart Money Thinks So. Helen of Troy Limited (HELE): 73% Surge in Smart Money Ownership; What’... Vince Holding Corp (VNCE): Hedge Funds Keep Heading Elsewhere Is Cabot Corp (CBT) A Good Stock to Buy? Is Vitamin Shoppe Inc (VSI) Going to Burn These Hedge Funds? Should You Get Out of UniFirst Corp (UNF) Now? Hedge Funds Are.